After hearing of Umaga getting let go from the WWE over the summer for Wellness Policy violations, and him refusing treatment, I had a feeling this wouldn't end well. And now word came over today that he's passed away, another professional wrestler dying before their 40th birthday. 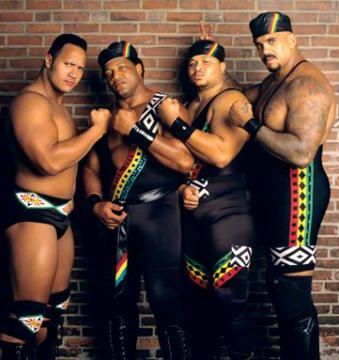 Jim Ross has confirmed reports that Eddie "Umaga" Fatu did indeed suffer a heart attack last night. F4WOnline.com has noted that last night, Fatu fell asleep watching television, and then his wife found him shortly thereafter not breathing with blood running from his nose. At that point she rushed him to the hospital where he was then placed on life support. According to a source I just spoke with, Fatu apparently suffered another heart attack after the decision was made to take him off life support, and following that heart attack, he was gone. It's a damn shame. Our thoughts and prayers go out to Eddie Fatu's family. Rest in peace. And something needs to be done with this. Too many wrestlers are killing themselves, chasing some kind of dream... or trying to forget another.